Disclaimer: This post only applies to estimated quarterly taxes for Federal income tax filing. Depending on where you live, you may have to file quarterly state taxes as well. When you’re an employee, it’s normal to have money withheld from your paycheck for taxes, retirement funds and insurance. When you’re self-employed, or if you work as a contractor, there are no deductions taken. You receive the pre-tax amount of your pay, also called your gross income. There are lots of situations in which you may receive income that hasn’t yet been taxed. This can include things like rent payments, interest, dividends, etc. While having no deductions may seem like a fantastic dream come true, trust us, it’s not. Even though there is no employer withholding taxes from these payments, you still owe that money. And guess who’s responsible for calculating and paying them? You. It can be a pain! But that’s why ZipBooks is here to walk you through it all. No matter how you get paid, you have to pay taxes on your income. And if your employer doesn’t withhold your taxes and submit them to the IRS for you, then you will have to do it yourself. On top of that, if you’re self employed and expect to owe at least $1000 in taxes, you can’t wait until April 15th to pay it. This means you have to file and submit taxes every 3 months. These taxes are called “estimated” taxes because you don’t know for sure what you’ll owe until you actually complete your tax return next spring. But the IRS expects you to take an educated guess as to what you will earn and what you will owe, and then submit part of that tax each quarter. Additionally, there are penalties if you don’t submit enough tax. And these penalties can seriously add up if you really underestimate. So it’s pretty important that you make the best guess that you can. How do I know if I have to file estimated quarterly taxes? If you’re self employed and expect to owe at least $1000 in taxes, then you must file quarterly. This minimum extends to S-corporation shareholders, partnerships, and sole proprietorships. It doesn’t matter if you have a full-time job and your self-employment income is generated from a part-time side gig. If you will owe more than $1000, make sure you make those quarterly payments. LLCs and C-corporations must submit quarterly taxes if they expect to owe more than $500 in tax for the year. How on earth am I supposed to estimate? There are actually 2 ways to calculate your estimates. You can take what you reported in the previous year and use that as your starting point. The IRS generally does not impose penalties for underpayment as long as you have paid at least 100% of your obligation for the previous year. This is known as the “safe harbor rule”. So even if your income jumps considerably this year, the IRS shouldn’t penalize you as long as you pay quarterly taxes of at least 100% of the amount that you paid last year. Note: The IRS states that people making over $150,000 a year need to pay 110% of the previous year’s obligation before they will waive the underpayment penalty. 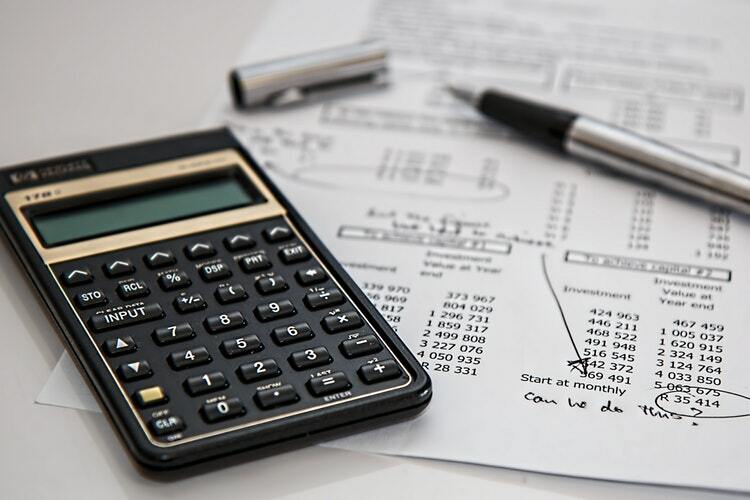 The other way, which is great if you really don’t have a good starting point from last year, is to use a tax calculator to estimate what you expect to earn this year. Plug it into an income tax calculation program, along with your expected deductions and credits, and you will get a number that you can use. If you are self-employed (meaning you’re not just a contractor, but you have your own company), you will also have to submit self-employment taxes. Self-employment tax means paying the Social Security and Medicare taxes which your employer partially pays when you have a regular job. When you are self-employed, as the phrase indicates, you have to pay that entirely yourself. You can calculate your self-employment tax by multiplying your total taxable income by 92.5%, which is considered the self-employment taxable income. You then multiply this number by 15.3%, the self-employment tax rate, to get your self-employment tax obligation. Add your income tax and your self-employment tax obligations together. Split that total into 4. And then submit 25% of the total tax each quarter. The due date is usually the 15th of the month, but it may be delayed if the 15th falls on a weekend. So, not only do you have to file quarterly, but each quarter’s submission must be made by the deadline or you may be charged a penalty. The IRS makes it fairly easy to file. You can fill out the form and mail it in with a check, or you can file and submit your payment online. You can also pay online via direct debit from your checking account, or by debit or credit card at the IRS Online Payment Center. What If My Estimated Income Changes in the Middle of the Year? What happens if all of a sudden you get a new client, and are going to make a lot more than you thought you would? First off, congratulations! However, you can expect that you’ll end up owing a lot more at tax time than you had initially planned. You may have to adjust your remaining quarterly payments upward significantly so that you aren’t caught owing so much when April 15th comes around. Although as long as you hit that 100% of the previous year’s liability figure, a big jump in income should not result in a big penalty for underpayment of taxes. So that’s it! When you prepare and send your quarterly taxes on time, and as accurately as possible, your tax-filing experience will be much more pleasant come April. Note: There are some special cases and exceptions to the filing rules. Find more details here.